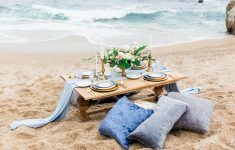 The serenity of an Oceanside setting for a wedding has such a lovely atmosphere, where the beauty of the sky meeting the sea is inescapable and creates such a wonderful setting. 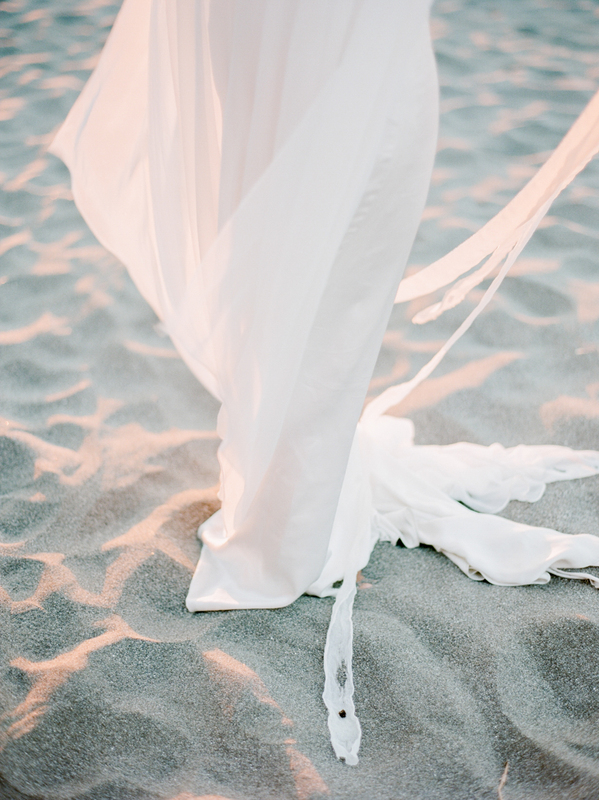 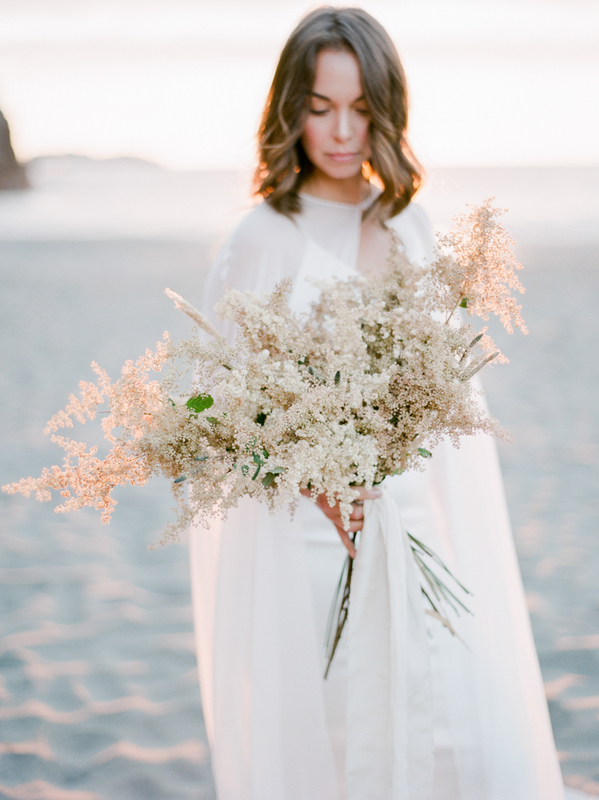 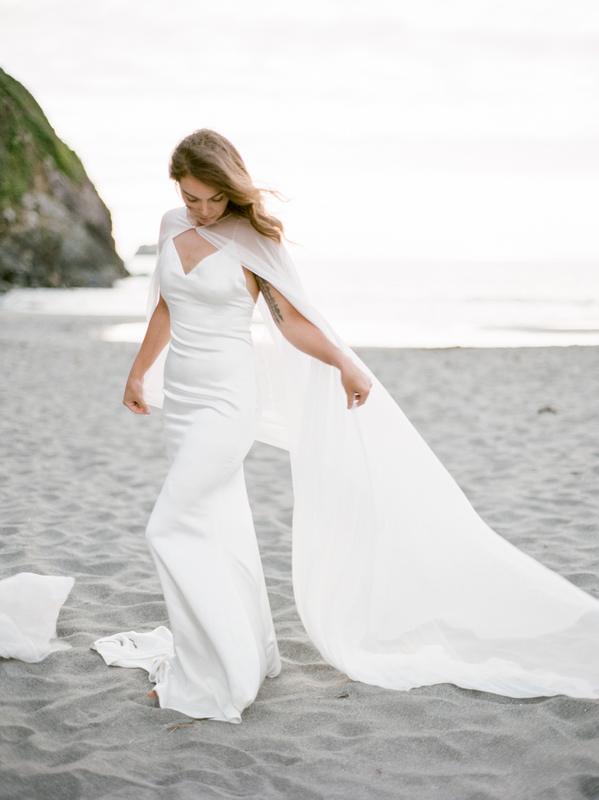 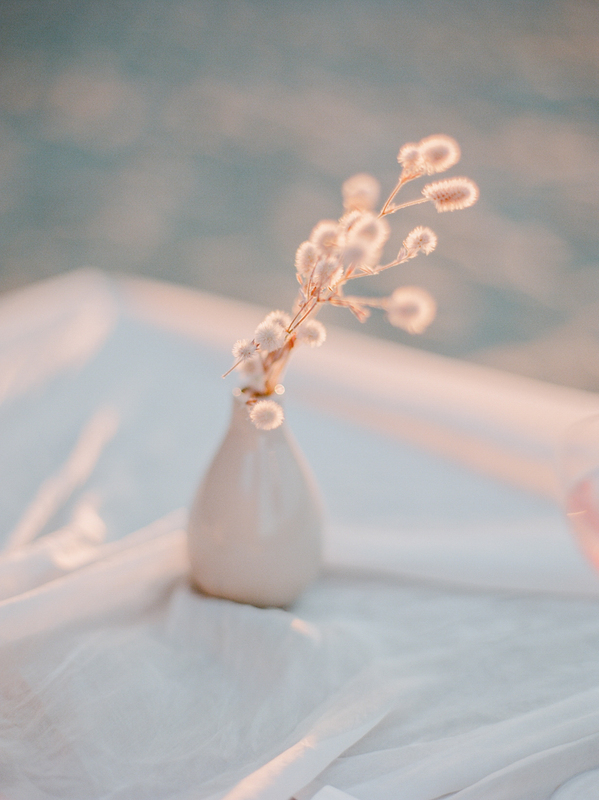 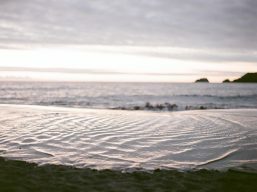 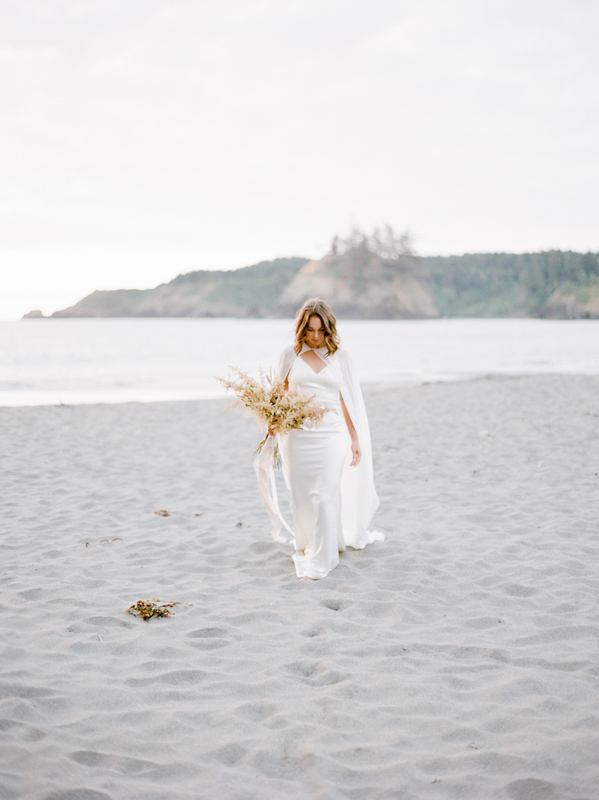 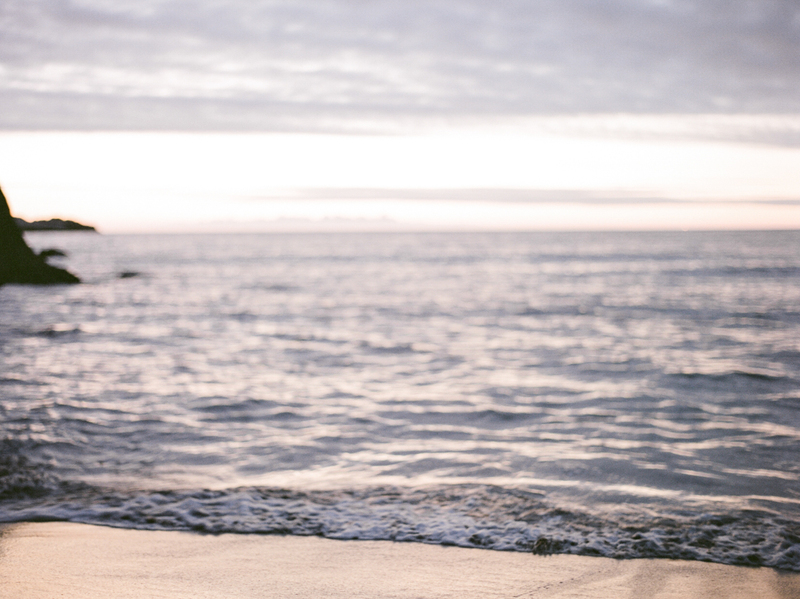 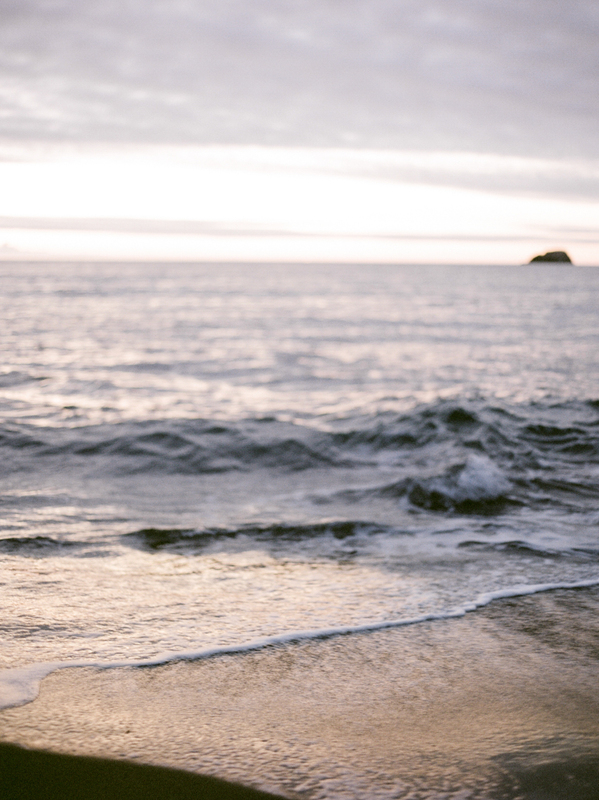 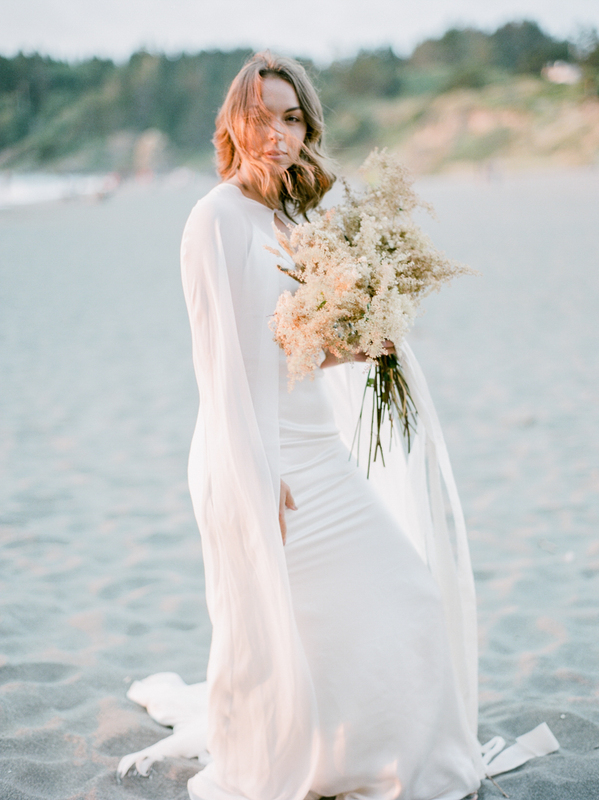 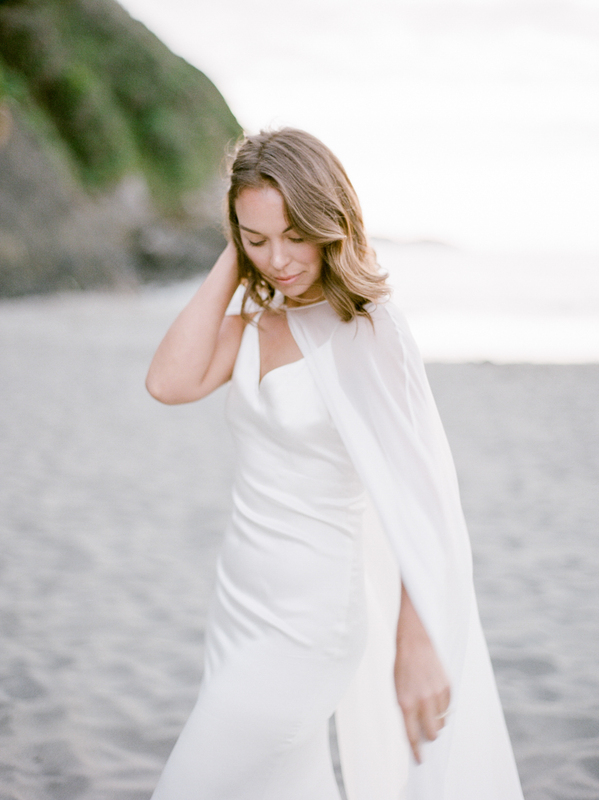 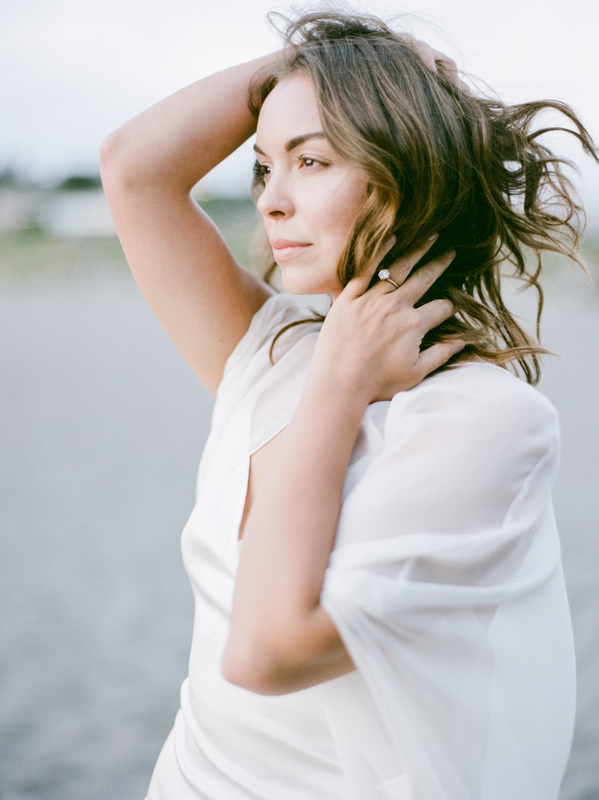 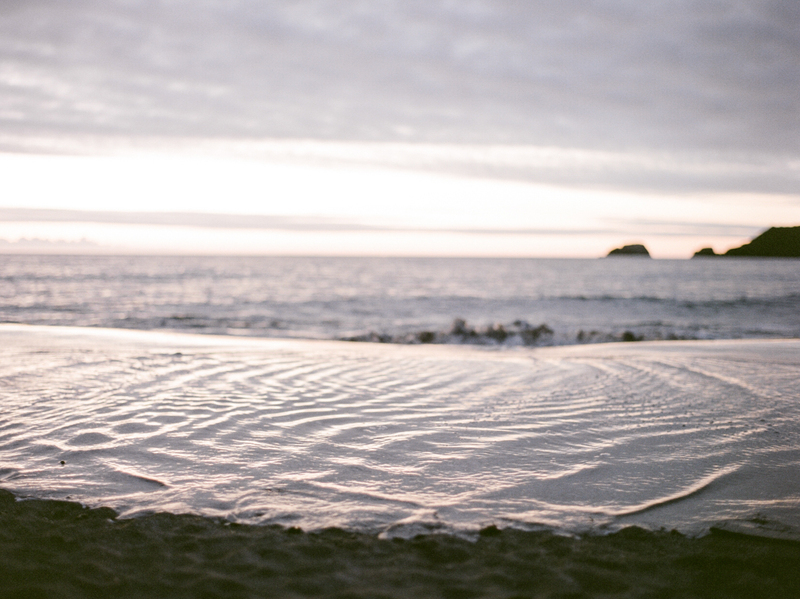 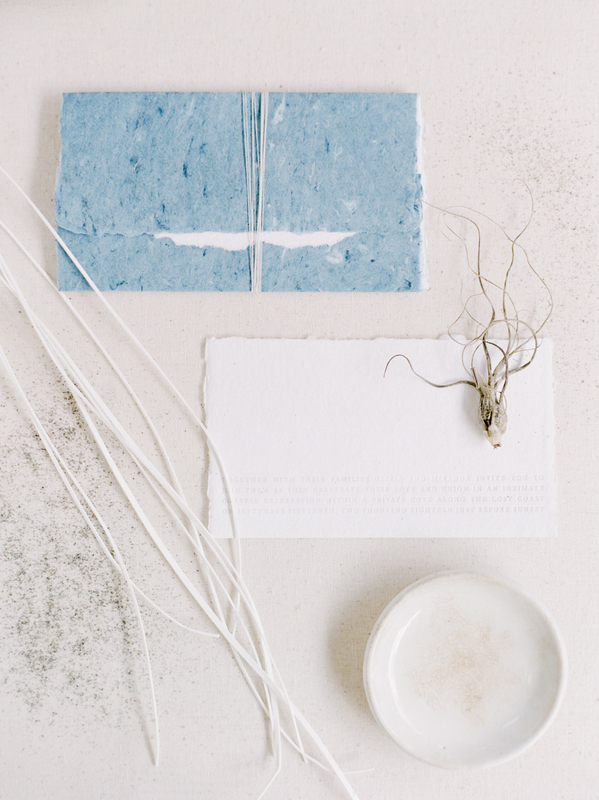 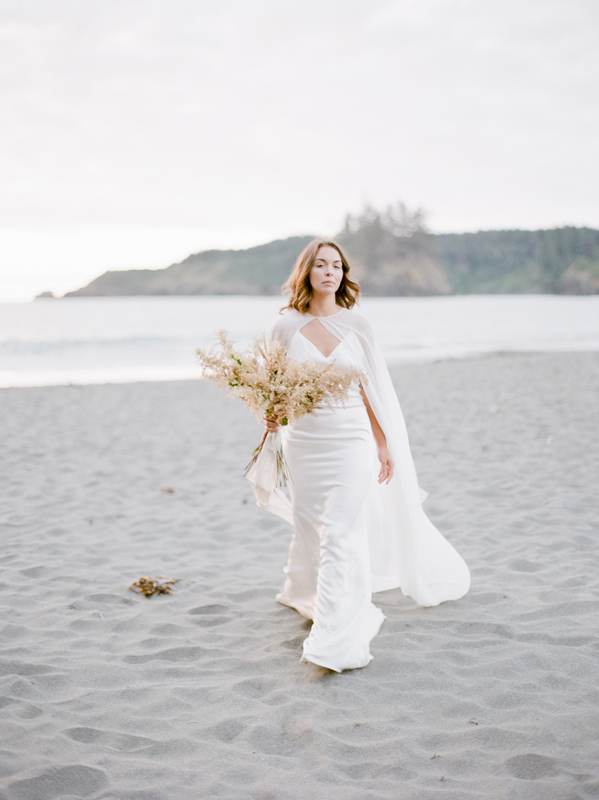 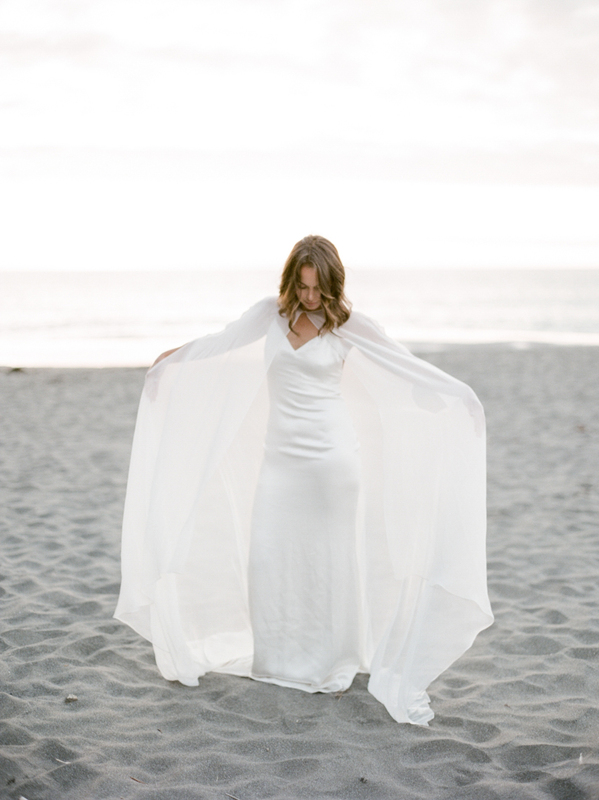 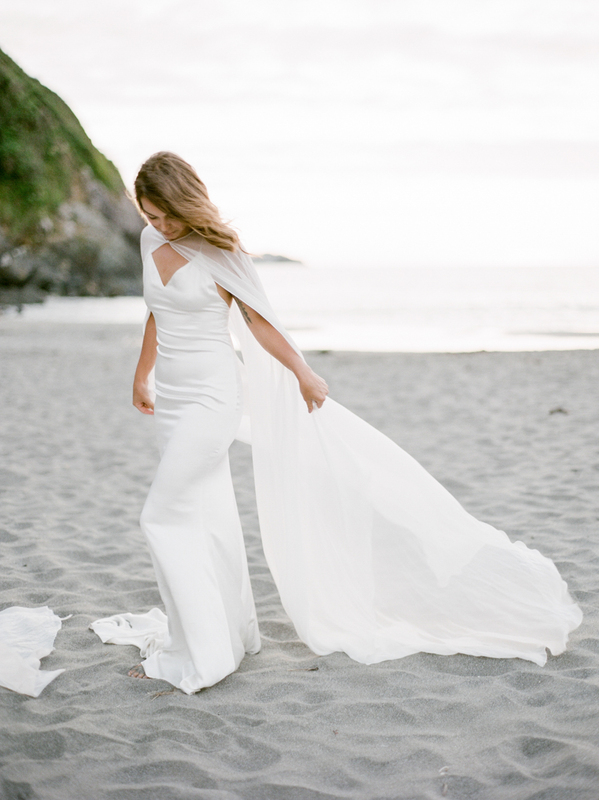 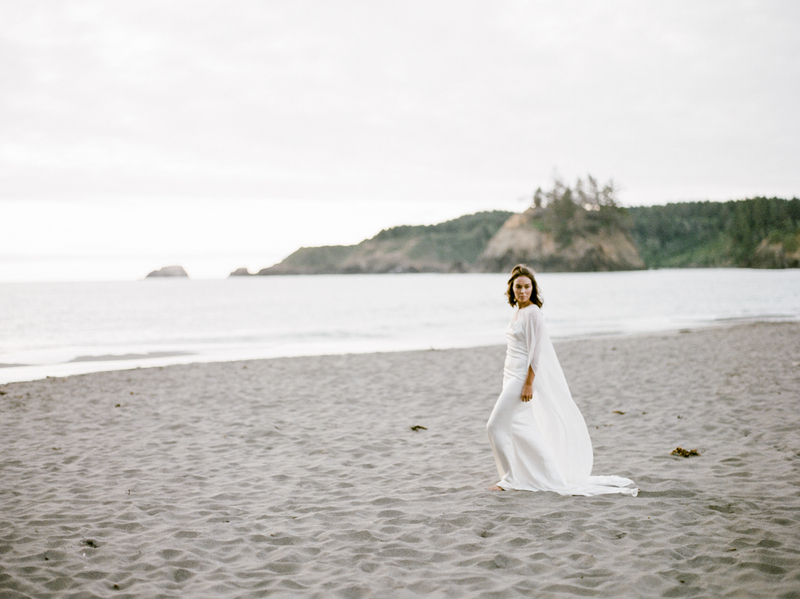 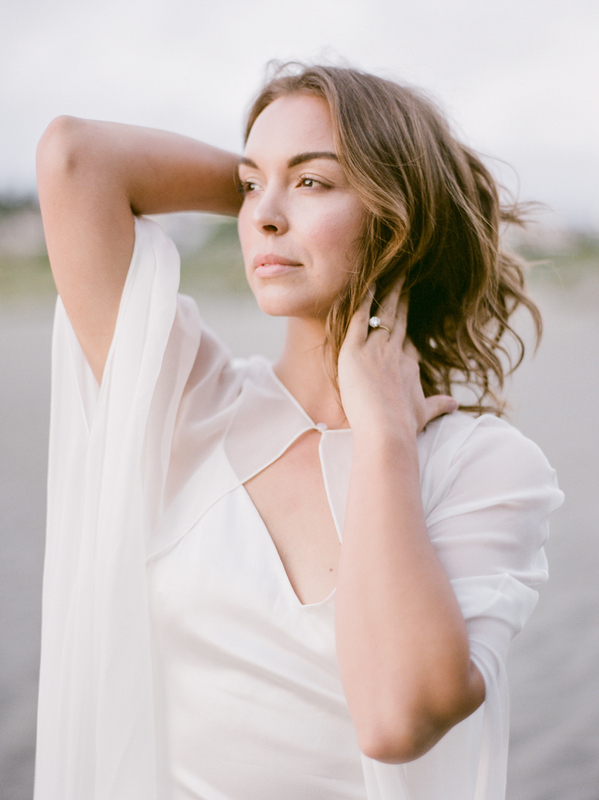 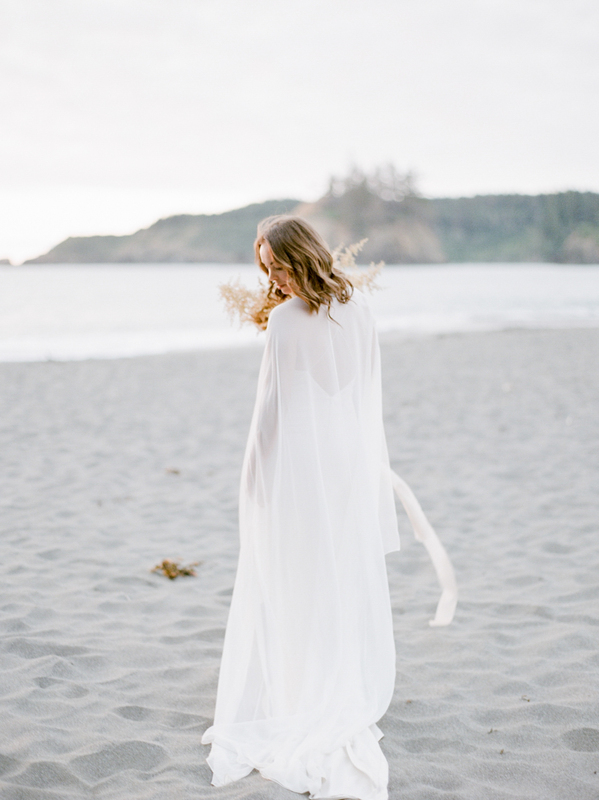 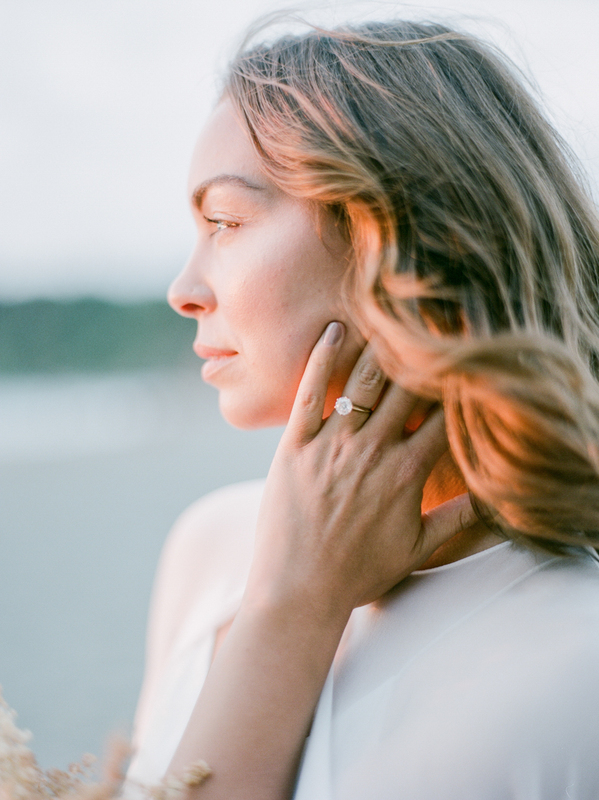 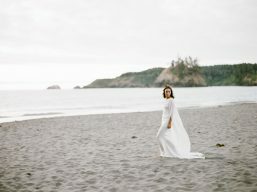 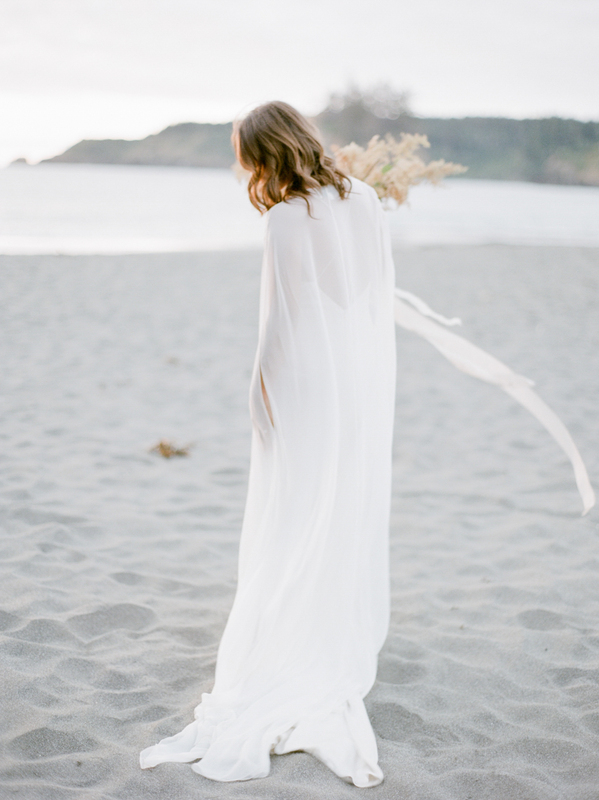 Madalina Sheldon Photography and Mika Design Studio created this Oceanside Elopement editorial showing just how alluring this setting can be for a more intimate wedding or elopement. 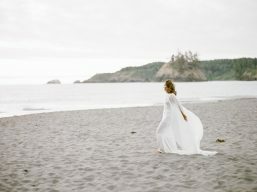 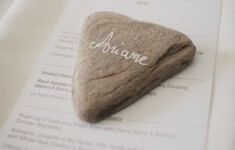 They mixed elements which absolutely ooze stylish qualities of the fine art wedding, with organic elements and spirit. 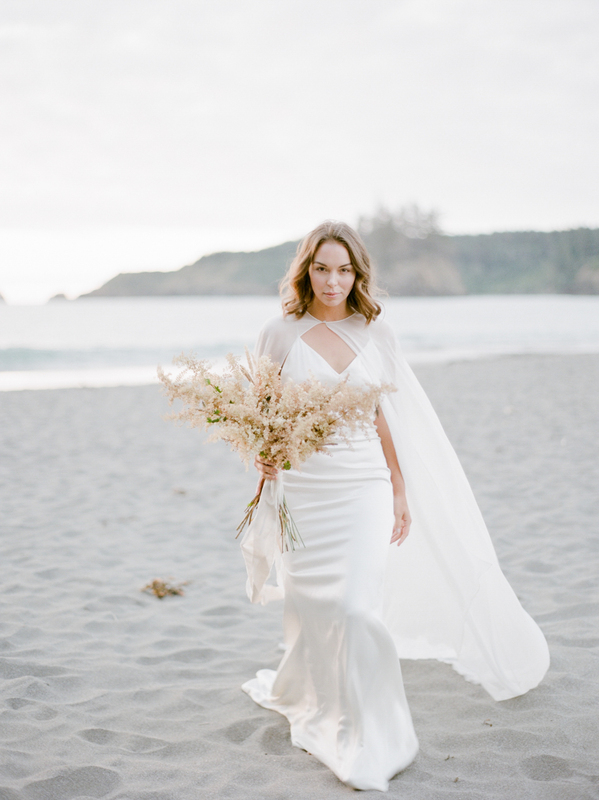 We adore the both the bridal look and the portraits! 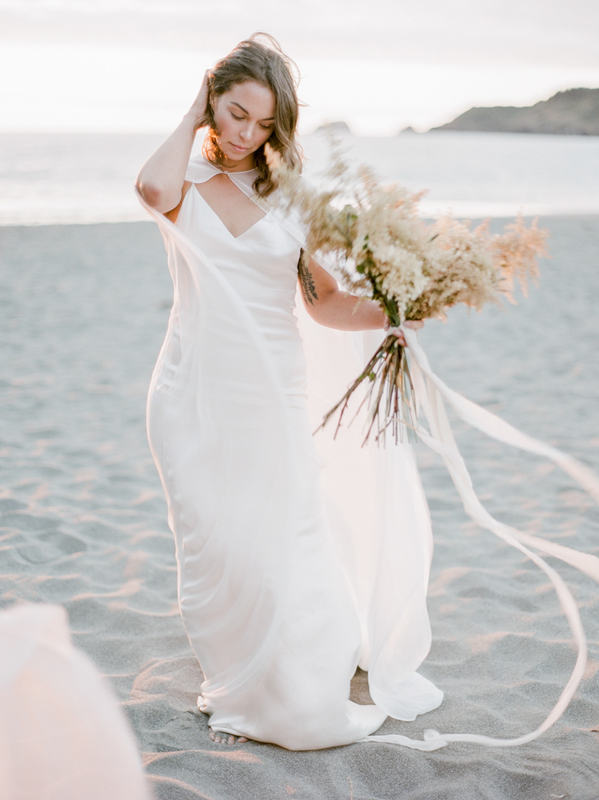 This really modern gown and floor length bridal cape by Alexandra Grecco is so stylish and fashion forward but absolutely compliments the graceful simplicity of this overall theme. 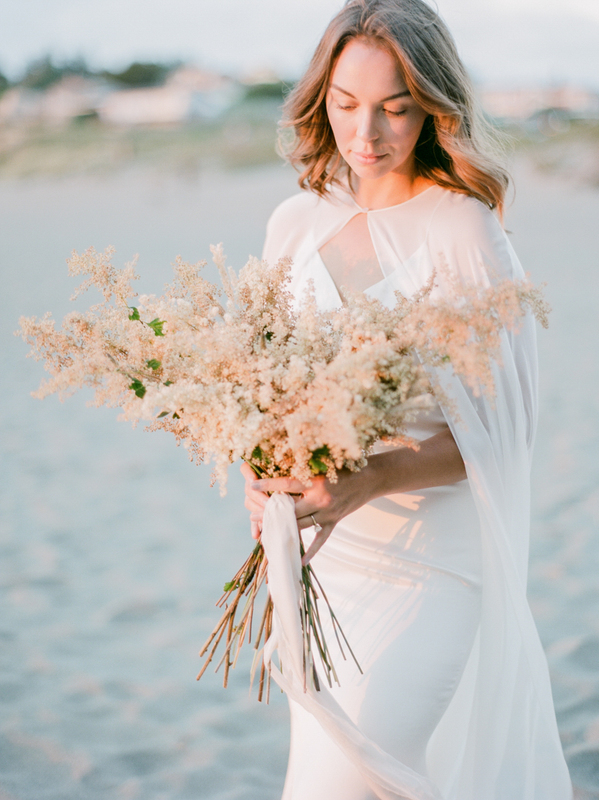 The bouquet of Astilbe by C.Carrère Floral Studio is the perfect statement for this bridal look and I truly love this modern bouquet style, and of course the addition of flowing silk ribbons! 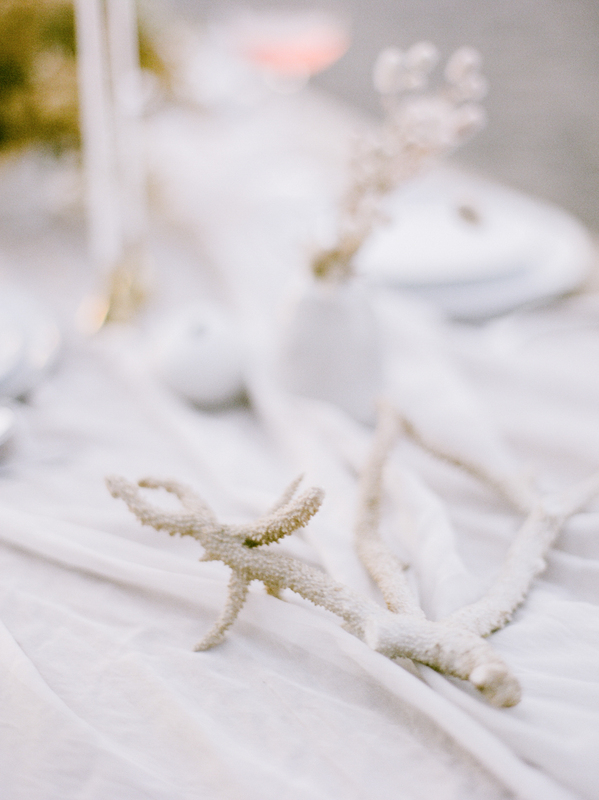 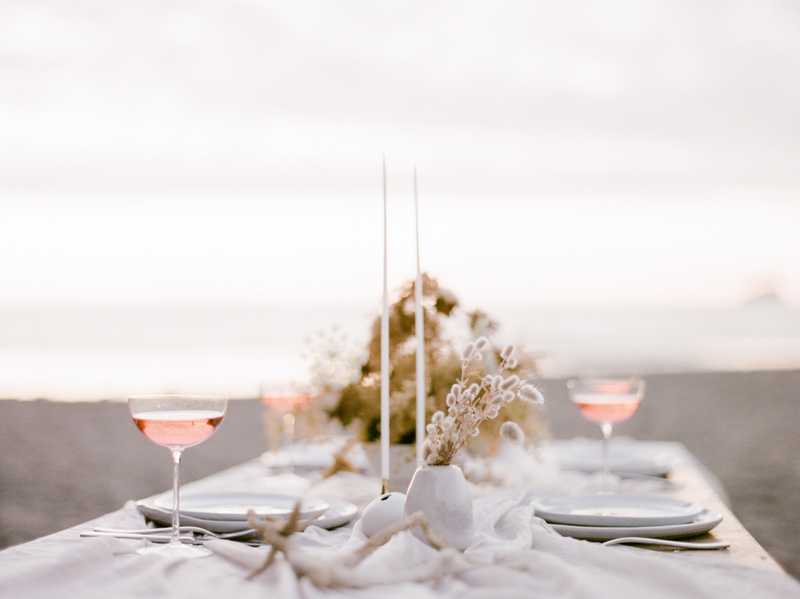 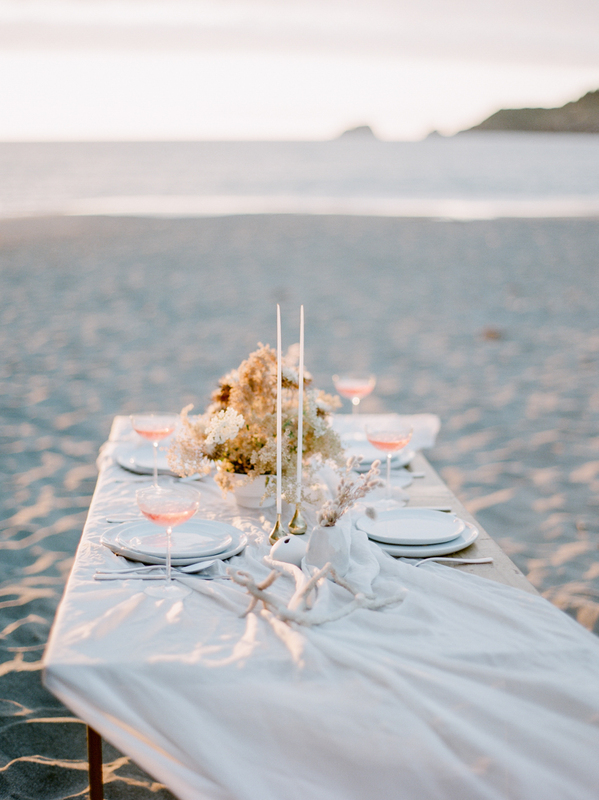 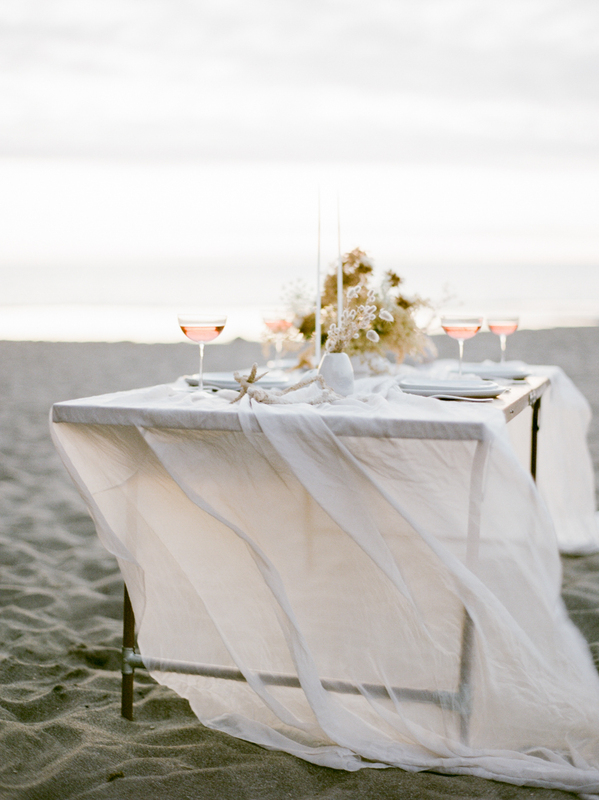 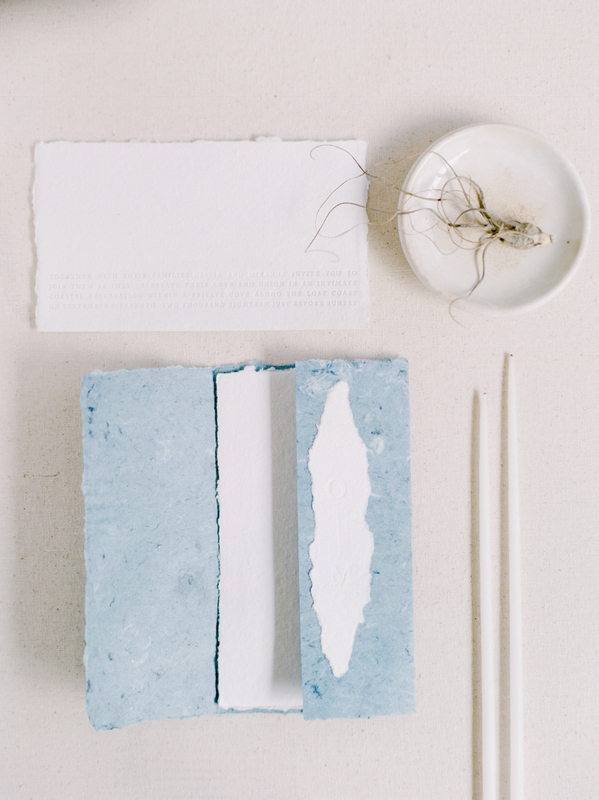 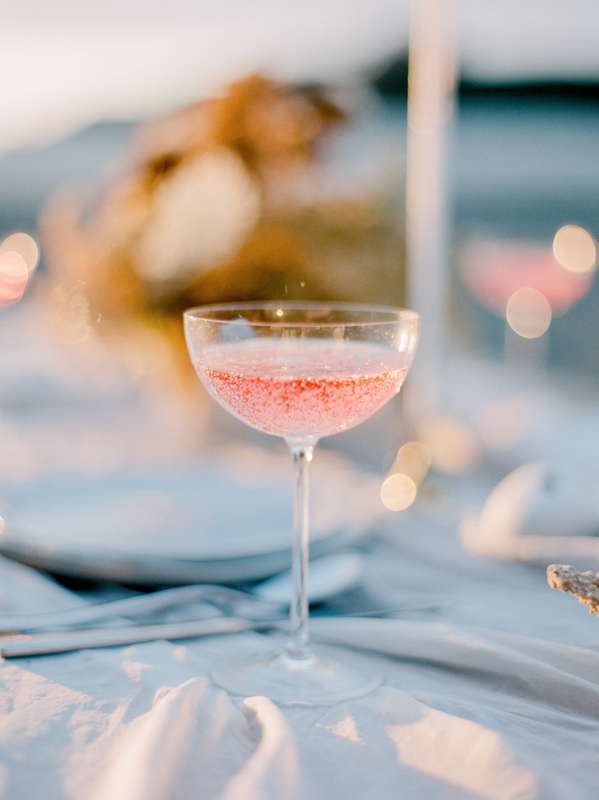 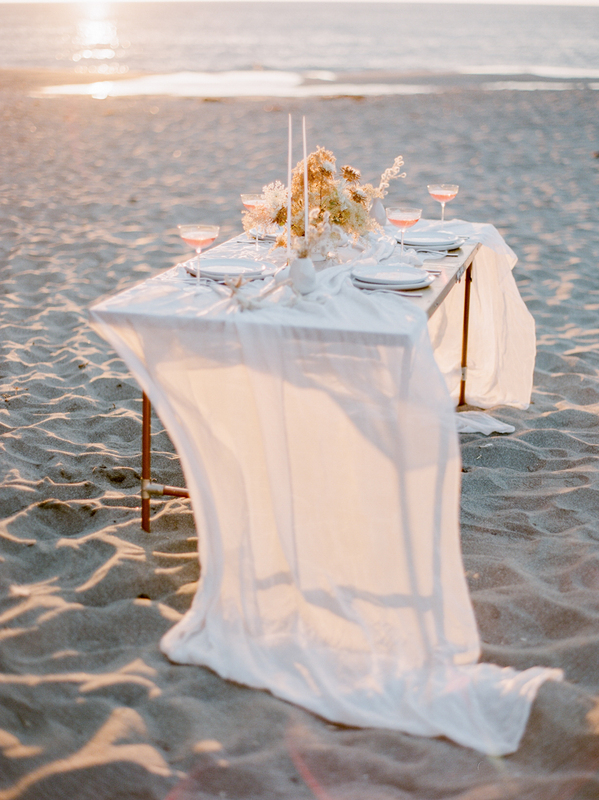 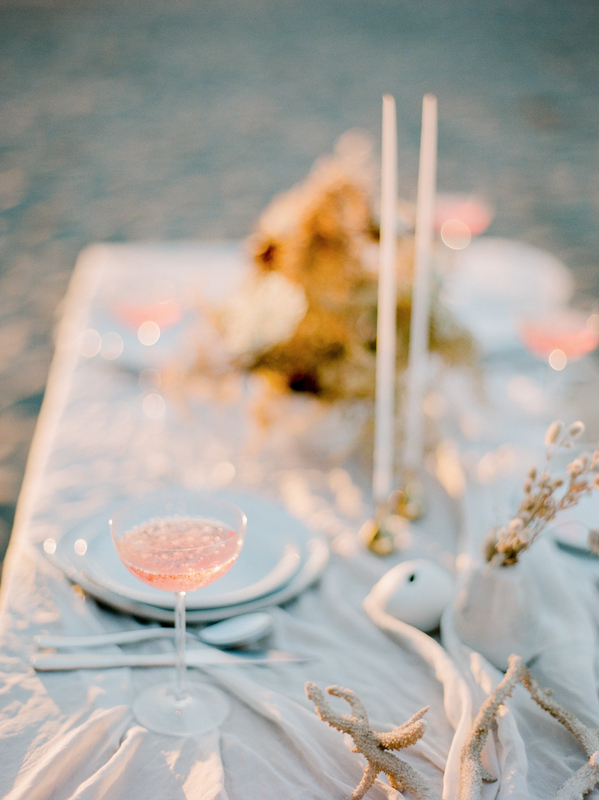 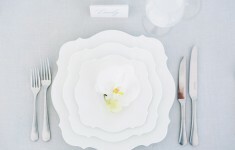 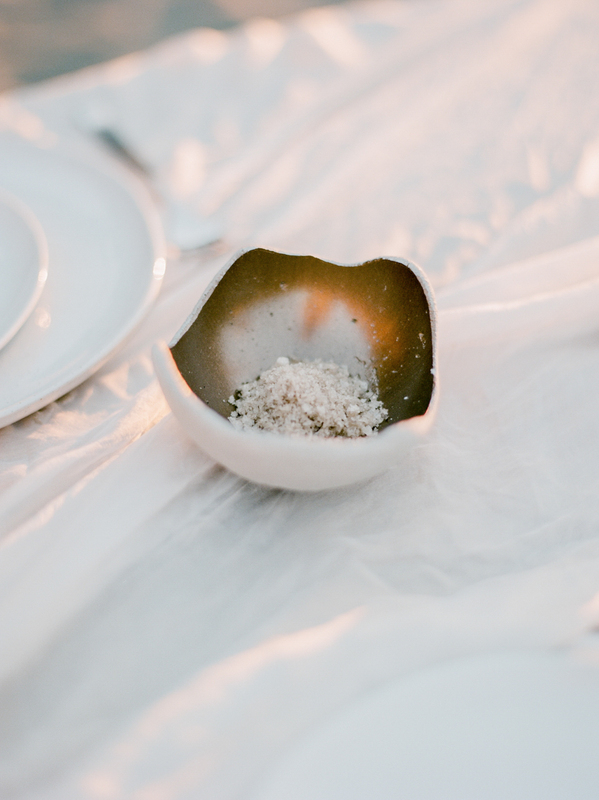 Don’t miss the table setting which sits harmoniously within the sandy shoreline. 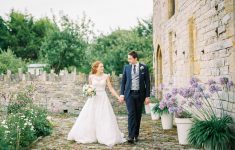 Using natural colour tones that agree with those you see within the setting, it has a lovely organic and bohemian chic feel with modern touches we loved! 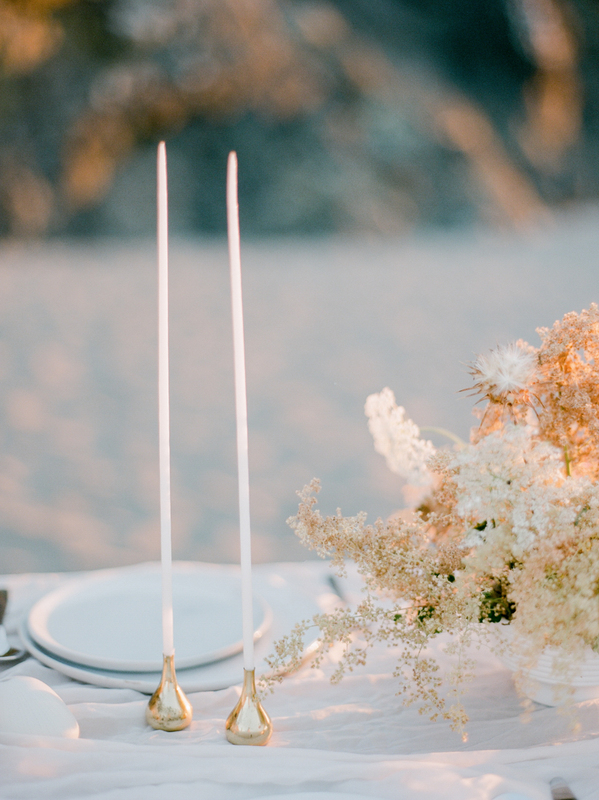 The contemporary short golden candlestick holders with the tall, thin tapered candles are amazing and just a couple of these is all it needs! Natural coral provide a nod to the ocean and a lovely texture against the runner, whilst modern plates and bud vases keep the amazingly pretty look, edgy! 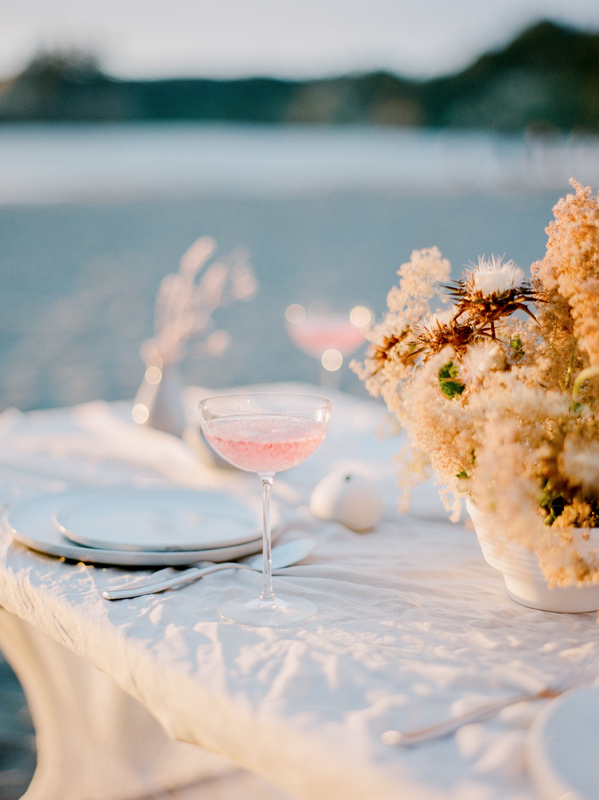 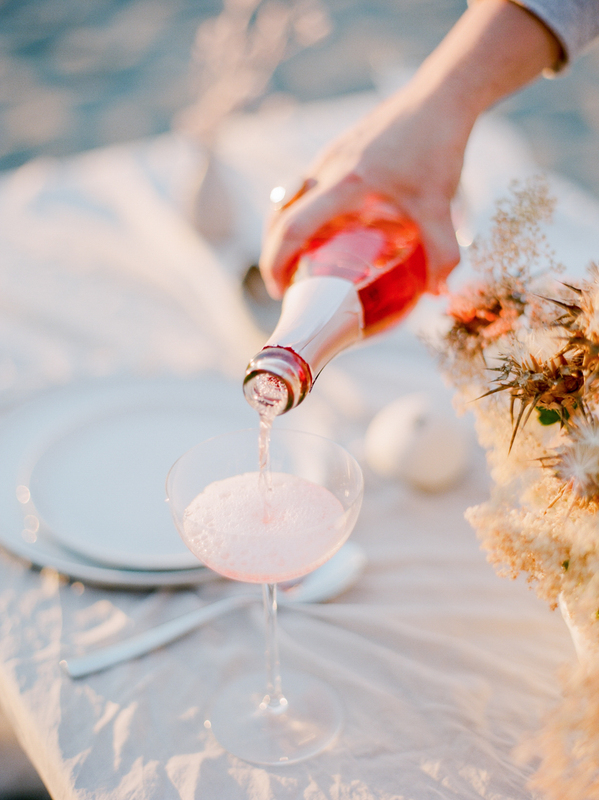 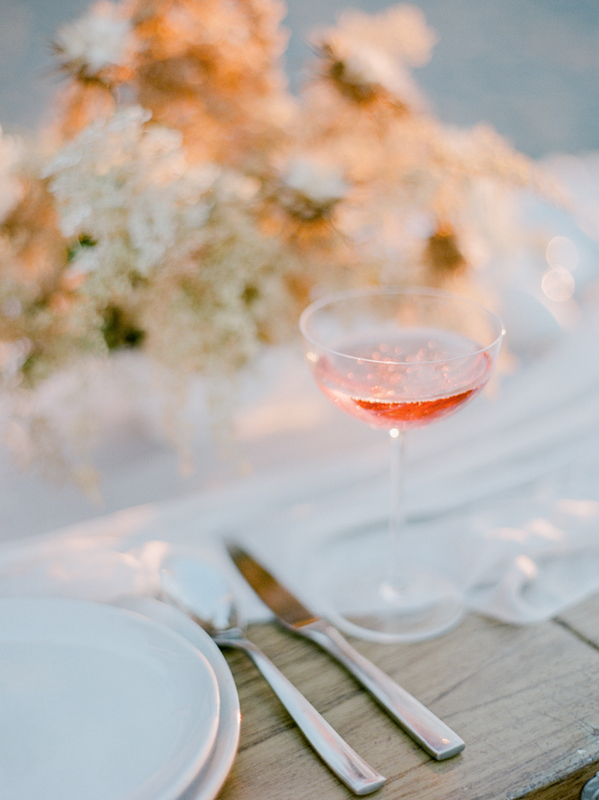 Beautiful stationery by one of our favourites – the amazing BRYLO wed adds a touch of blue whilst pink champagne adds colour matching the gorgeous sunset!